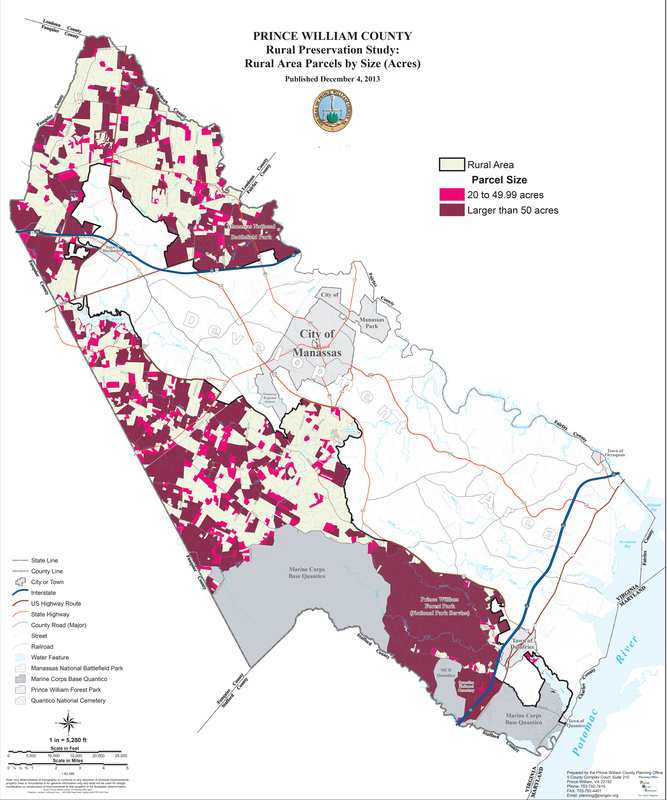 In 1998 the Prince William County Board of Supervisors adopted a ComprehensivePlan that established a growth boundary. The intent was to strengthen the County's capacity to control urban sprawl by defining one area that is available for higher density development and a protcted rural area, which quickly became known as the Rural Crescent. The Rural Crescent directs taxpayer-funded investments to the development area, where they are more cost effective, benefit more people, and help attract economic development. It protects farmland, green open space, environmental resources, wildlife habitat, and our drinking water supply. From time-share communities to golf course and other cluster development, Supervisors have considered revising Rural Crescent policies ever since it was adopted in 1998. All the proposals have failed except one: in 2011, Supervisors removed 180 acres on Vint Hill Road from the Rural Crescent and increased density for that property from 12 to 295 houses. Now, developers are back again seeking approval to build many more homes in the countryside, under the guise of protecting open space through cluster development. They also want to build more homes than currently recommended in border areas and near existing communities. What's the County Doing in Response? Supervisors are considering allowing access to public sewer and significantly increasing the number of new homes through cluster and other development, changes that would undermine the policies that protect the Rural Crescent. A "Transitional Ribbon" is proposed along the interior border of the Rural Crescent, where access to public sewer and increased densities would be allowed. Supervisors are simultaneously considering an active "cluster" development application: the 316-acre Mid-County Park and Estates plan proposes a density increase from 32 to 118 new homes. In exchange, they will use largely unbuildable land to create a 195-acre linear park to form a ring around the new development. As of September 2018, the Planning Office has deferred discussion until spring 2019 at the earliest. 20 years ago Supervisors committed to a series of rural area incentives, none of which have been studied or implemented. Four years ago the Rural Preservation Study was completed and put on the shelf. Two years ago Supervisors initiated three Zoning Text Amendments to help guide the County's review of the Study. — Make recommendations regarding possible amendments to the County's land use planning policies. One month ago the Planning Office abruptly cancelled, indefinitely, one Planning Commisson work session and four public outreach meetings scheduled for September. Delays to the public process create uncertainty for landowners countywide as well as openings for piecemeal changes that increase housing densities in the Rural Crescent. Incentive programs are waiting in the wings, with no plans for implementation. There is one active cluster development application – Mid-County Parks and Estate – that asks for more than three times the allowed new homes for Rural Crescent properties. 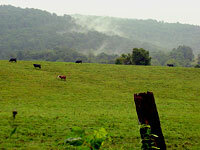 The County conducted a survey as part of the Rural Preservation Area Study. Input from current community meetings shows that support for the Rural Crescent has not dimished. 68% of survey participants said they were willing to pay more to help preserve land in the RC, most of whom (79%) are willing to pay more than $25/household/year to do so. Show Up and Speak Up! Click here and ask Supervisors to follow through on promises to implement rural area incentives, as described in the Comprehensive Plan. Read the list here. Please sign our petition asking the BOCS to provide detailed information on how the County plans to provide adequate, sustainable, quality water for all existing and planned residents, businesses, schools and churches that are proposed for any change in zoning and planned development in the Rural Crescent of the county, as supported by the Virginia Code. Both public water and groundwater supplies have finite limits. Local civic groups are working together to support the Rural Crescent. Most recently we have made five recommendations to ensure a transparent public process.